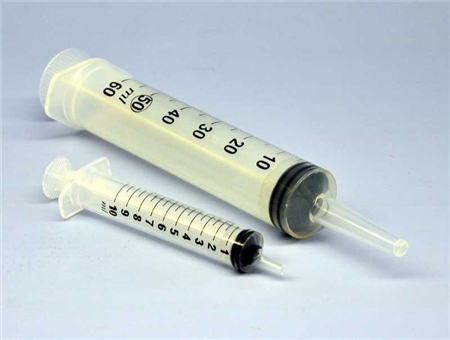 Plastic syringes with graduations, ideal for accurate measurements of paints and epoxies. Types: 10cc, 50cc. Sold in Packs of 2.